"Be on time for supper." "When I call you for dinner, stop playing ball with your friends and come home immediately." "Sit up straight in your chair." "Don't put your water glass too close to the edge of the table; if you do, you might knock it onto the floor." "Finish everything on your plate or no dessert." "You do not leave the table until I or your mother give you permission to leave." Those, my brothers and sisters, were some of my earthly father's "dinner rules." They were never written down anywhere, but they were verbally promulgated quite often. And whenever they were violated by yours' truly or his little sister (as happened on more than one occasion), an appropriate punishment was assigned and administered—immediately! And, sadly, there was no “court of appeals” in the Suriani household at the time. In matters such as these, my father was the Chief Justice of the Supreme Court—like it or not. 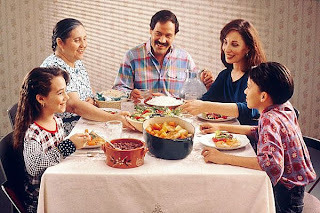 This morning I'd like to review with you some other dinner rules: the ones given to us by our Father in heaven. They're given in reference to the meal his Son died to give us, the Holy Eucharist. And they're given through his Son's mouthpiece on earth, the Church. I decided to deal with this issue in today's homily for two reasons: first of all, because it's Corpus Christ Sunday; and, secondly, because many of our heavenly Father's children seem to be unclear about some of his dinner rules, even though these are written down for us in Scripture, in Canon Law, and in various other documents. Rule # 1: When we come into the presence of the Blessed Sacrament, we should always genuflect (unless we are physically unable to do so!). As it says in the document Eucharistiae Sacramentum: "Genuflection on one knee is prescribed before the Blessed Sacrament whether it be reserved in the tabernacle or exposed for public adoration." We should also genuflect whenever we pass in front of the tabernacle or monstrance. This is a sign of our recognition that we are in the presence of the King of kings and the Lord of lords. Do you genuflect before you enter your pew for Sunday Mass? Why these restrictions? Is the Church being mean-spirited? No, the Church is simply asking us to be honest. In 1 Corinthians 10: 17, St. Paul says, "Because the loaf of bread is one, we, though many, are one body, for we all partake of the one loaf." When we share Eucharist with others we are making a public statement that we are one in faith with them. That's what Paul is telling us in this text. But, unfortunately, we are not one in faith with our Protestant brothers and sisters. Yes, we share some elements of belief in common, that's true; but not enough such that we can come together and partake of "the one loaf." We’re working toward that unity—and hopefully someday it will be attained. But we’re not there yet. And we need to be honest about that. Rule # 3: As we are told in Canon 919 of the Code of Canon Law: If we want to receive the Eucharist, we must fast for one solid hour from all food and drink (except water and medication). That includes gum, by the way. Obviously, if you are sick or unable to fast for a medical reason, then this rule does not apply to you. Although not chewing gum at Mass does still apply! Rule # 4: Under ordinary circumstances, if we have committed a mortal sin we must not receive Communion until we have gone to Confession. At the risk of offending some, I will now get specific, because when I make a statement like this in a homily, invariably some people will ask me later on: "But Fr. Ray, what sins would fit into that category?" 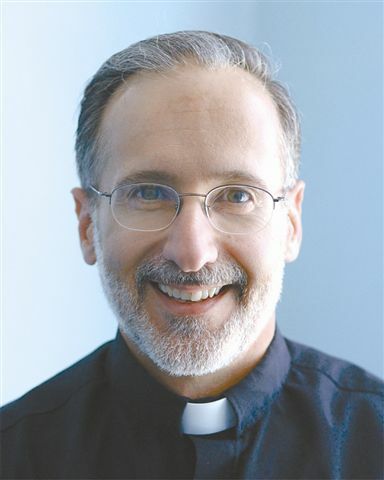 Well, here are some of the more common ones (I base this on my 26 years of hearing Confessions): missing Mass on a Sunday or Holy Day without good reason; deep hatred for another person (remember St. John in his first letter equates hatred with murder); adultery, fornication, masturbation, homosexual activity, artificial contraception, sterilization—and procedures like IVF. And, of course, if a person is involved in an invalid marriage, he or she must not receive until after the marriage is validated. Now if that is your situation, please do not despair or get angry; simply make plans to see a priest or deacon, to discuss what needs to be done to straighten the matter out. We deal with these situations all the time. Number 2: Our focus should be on Whom we are about to receive, not on those who have already received—or on anything else, for that matter. We should be preparing for our encounter with the King of kings and the Lord of Lords! Number 5: When the priest or deacon or extraordinary minister says, "The Body of Christ," we are to say, "Amen." Not "Thank you." Not "Have a nice day, Father"—or anything else. Nor are we to do an impression of a mime, and say nothing at all! Number 6: If we receive in the hand, we are to take one step to the side and consume the Eucharist right there at the foot of the sanctuary. We are not to take Communion back to our pew—or home to our sick relatives. If someone at home is unable to come to Mass and wants to receive, let us know. We have extraordinary ministers who take Communion to the sick of our parish every Sunday. Now I must admit something to you: In all honesty, when I was growing up, I didn't always like my earthly father's dinner rules. At times they seemed unreasonable, arbitrary, and just plain unfair! But looking back on it now, I realize he was right. My father wanted our suppers to be pleasant experiences for everyone in the family. And his rules—when they were actually followed by my sister and me—helped to make it happen. Our heavenly Father's dinner rules are given for a similar purpose: so that the Eucharistic banquet which we celebrate here will be a spiritually profitable experience for everybody involved. May our observance of these rules help to make that happen.